Which migration policy for Europe? In an ageing world with demographic, economic and ecological imbalances, the number of international migrants is likely to rise during the twenty-first century. The geography of migration flows will be changing, however. Mobile people will be increasingly attracted by faster-growing economies. Therefore, some traditional destinations in Western Europe might become less attractive or face stronger competition for skilled labour – not least from countries such as China where the working-age population will shrink after 2020. At the same time, the sentiment in many European receiving societies is turning against migration and intra-European Union mobility. In the short run, Europe needs more labour mobility between EU Member States given excessively high unemployment reported in some regions, while others face a shortage of skills. In the long run this will not be sufficient to close gaps in European labour markets. But many Europeans are not ready to accept more international migrants or mobile EU citizens, and give their support to political parties with restrictive agendas. The talk will be about the challenges these developments pose. Rainer Münz is Head of Research & Knowledge Center at Erste Group and Non-resident Fellow at the Migration Policy Institute, Washington DC, at the European macroeconomic think tank Bruegel, Brussels, and at the Hamburg Institute of International Economics (HWWI). He is an expert on population change, international migration and demographic ageing, their economic impact and their implications for modern societies. He currently teaches at the University of St. Gallen (Switzerland) and the CEU in Budapest (Hungary). He has worked as a consultant for the European Commission, the OECD and the World Bank. 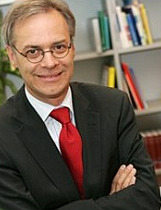 He served as an advisor to several EU Member States during their EU presidencies.